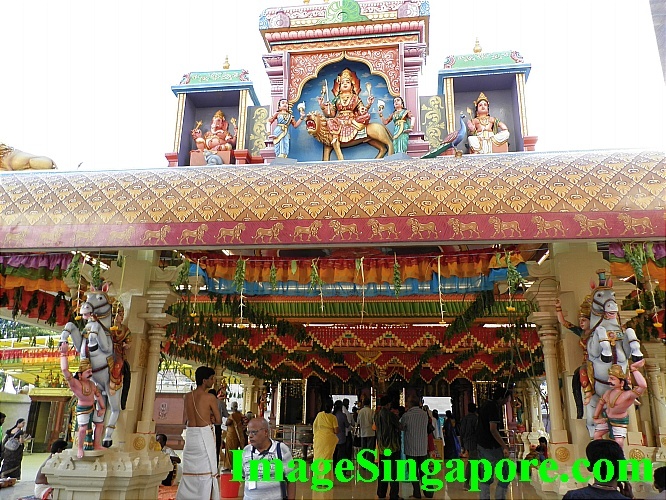 I visited the Arulmigu Rajamariamman Devasthanam temple ( ARD ) in Johor Bahru last week . 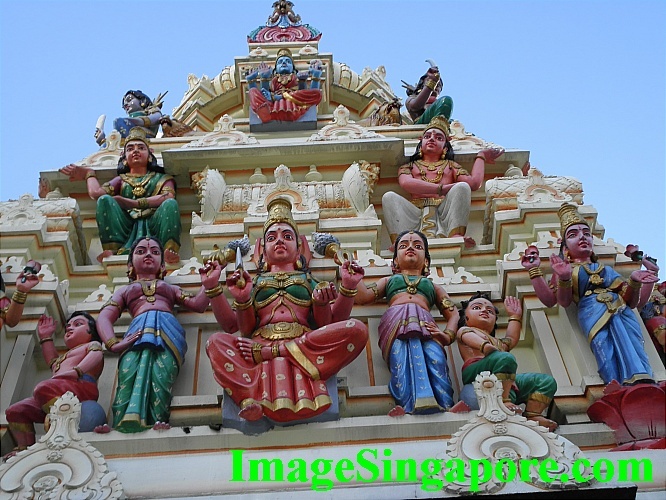 This temple was founded in 1911 and so it has a 100 years old history. 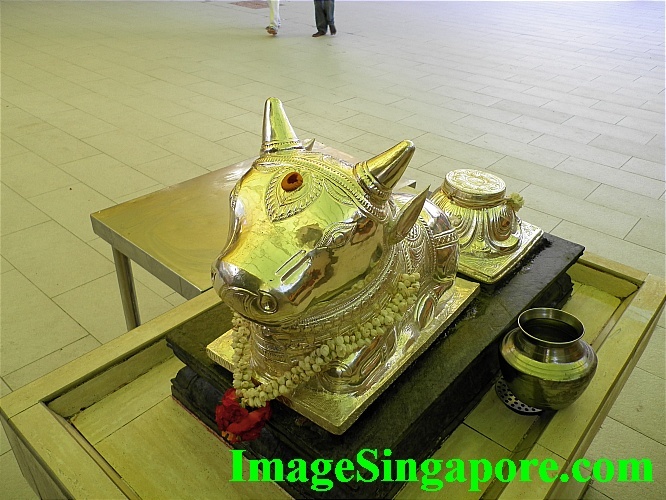 The location of ARD temple is along Jalan Ah Fook and the minor road leading to the new Galleria @ Kotoraya Mall. The ARD is just beside the Galleria @Kotoraya Mall and it is surrounded by rows of Indian shops selling food, clothes, daily necessities and even beauty salon. If you intend to visit this temple, do it in the evening from 5 pm onwards; as it is closed when I was there previously in the afternoon. 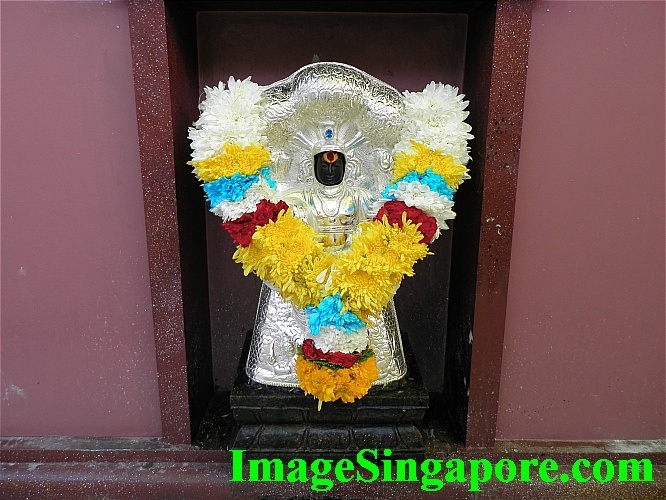 The Arulmigu Rajamariamman Devasthanam temple ( ARD ) sits a relatively small plot of land and the road besides the temple was filled with people and cars. So if you are driving, it would be easier to park near to the new Galleria @ Kotaraya Mall or the Puteri Pacific hotel which is just behind the mall. Before climbing up the flight of stairs to the main entrance door, it is mandatory to remove your shoes – there are shoe racks available at the side of the wall. 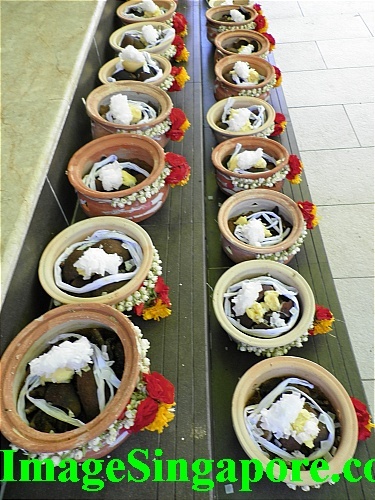 I saw some devotees washing their feet as well. 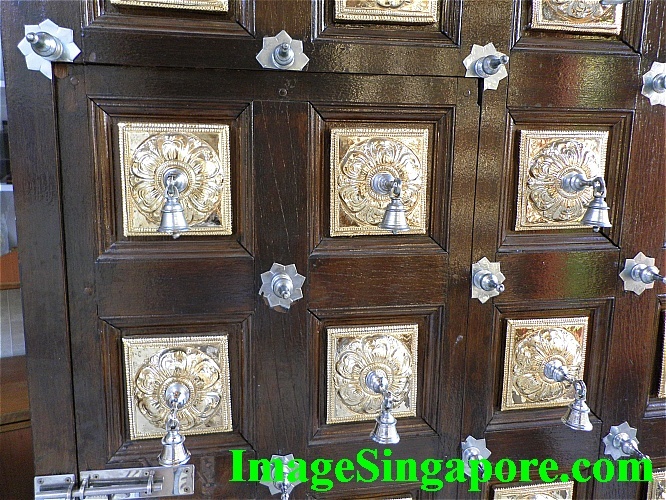 The main entrance door have many little bells attached to it and devotees would ring the bell before proceeding to the main temple. 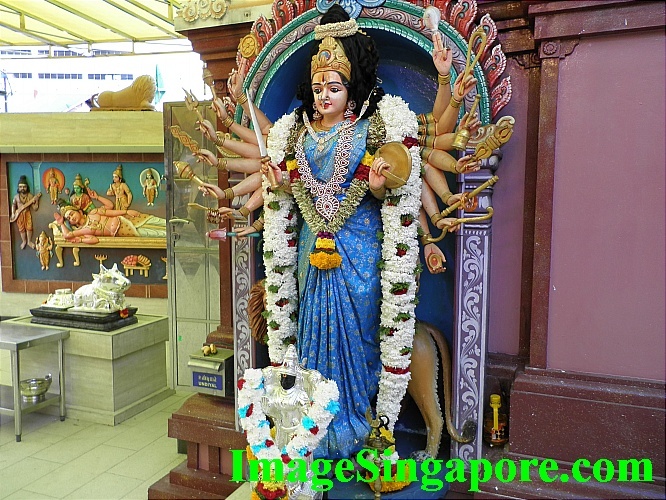 I saw many devotees praying and making offerings, and there were many beautiful sculptures and figurines of Hindu deities. 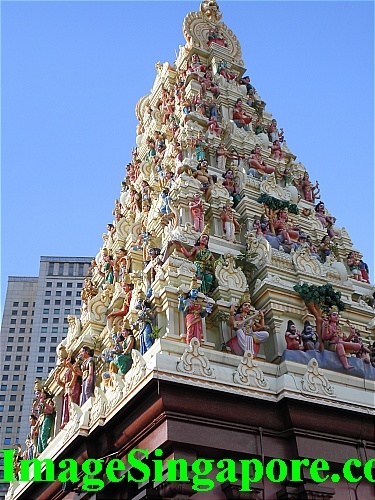 It was simply a wonderful experience of being able to see so much beauty and colors in this Hindu temple. I saw some tourists and a few Chinese people praying inside the main temple hall as well. 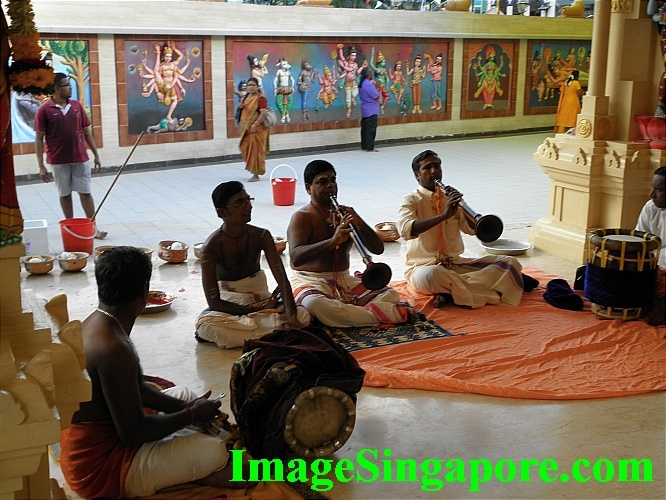 When you are in Johor Bahru, this ARD temple is definitely worth taking time to visit. When I was there, I felt that I was actually visiting a historical museum. 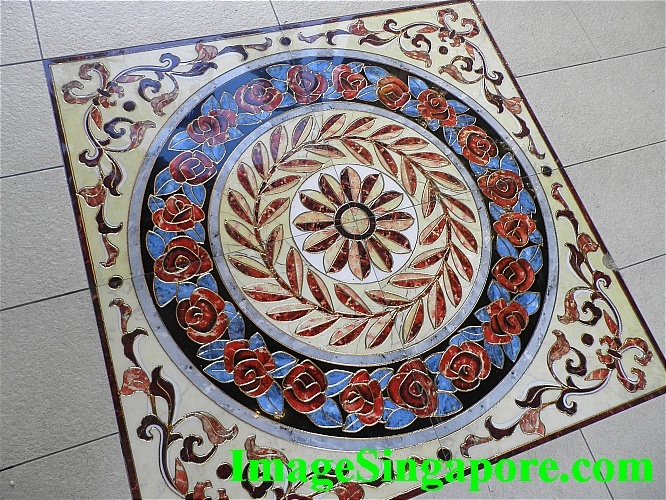 I have added a couple of photos here in this blog for your enjoyment. 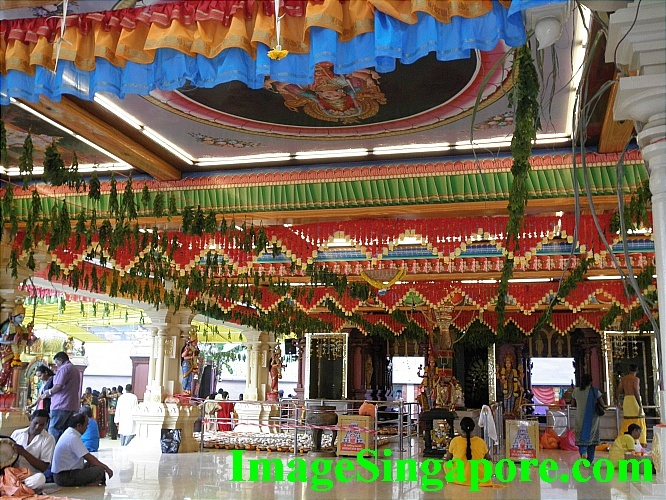 Arulmigu Rajamariamman Devasthanam temple ( ARD ). 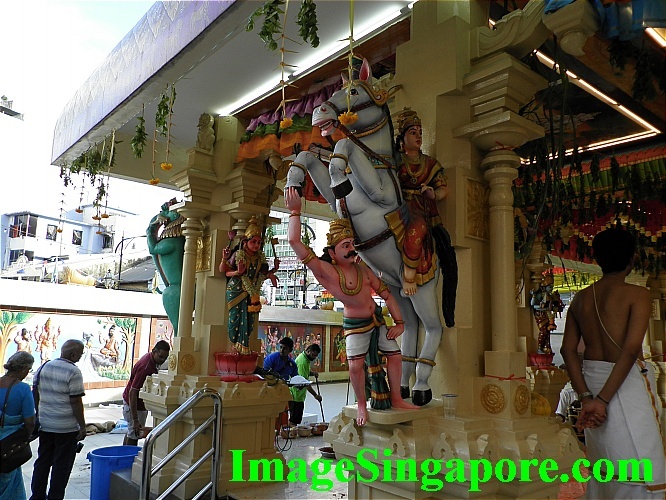 I saw devotees touching the head of the cow. I also follow the same act. 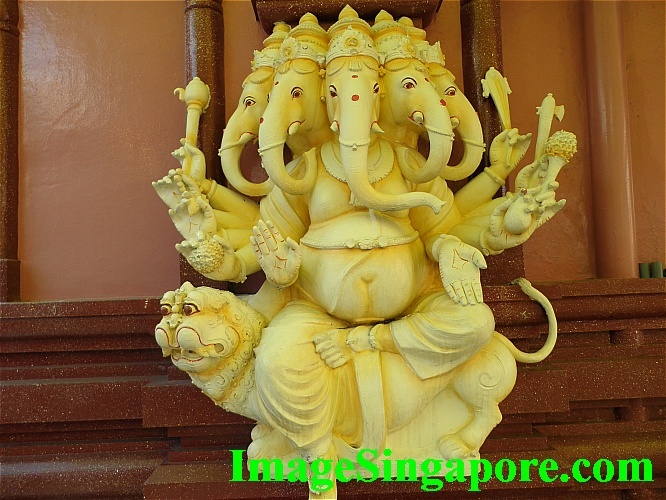 One of the Hindu God. I think these are meant to be offerings to the Gods. 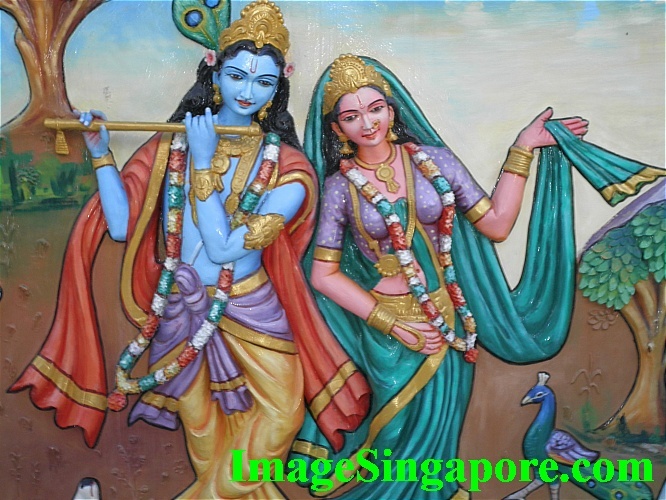 This is one of the artistic figurines on the temple wall. There are many of them. 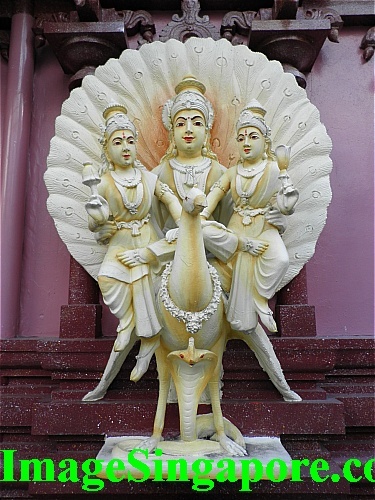 This is on the roof of the temple. 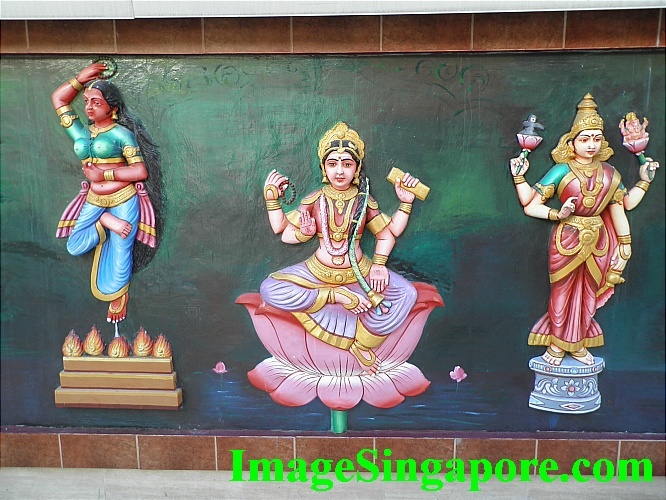 Another artistic figurines on the temple wall. A worthy place to visit. 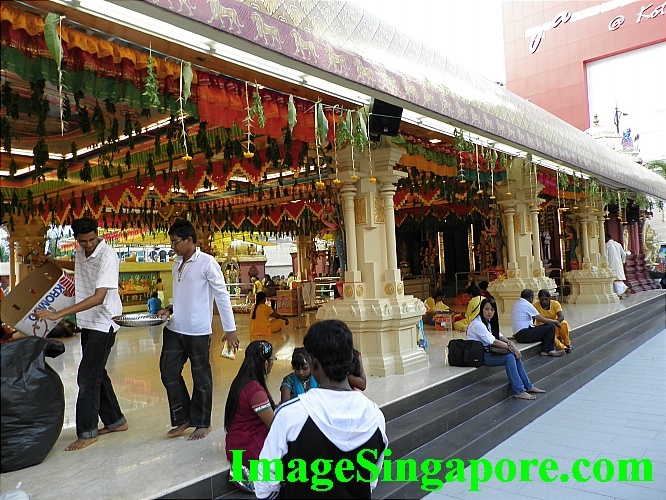 Visit this ARD temple in the evening.